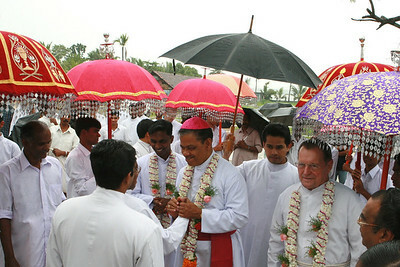 Bishop John Thattumkal arrives for the ordination; Deacon Thomas is to his left, Fr. 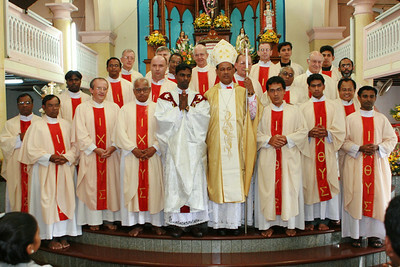 Martin (District Superior) is to his right. 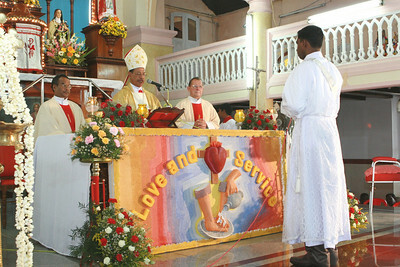 In front of the concelebrants, Deacon Thomas sits with his parents, Augustin and Victoria. 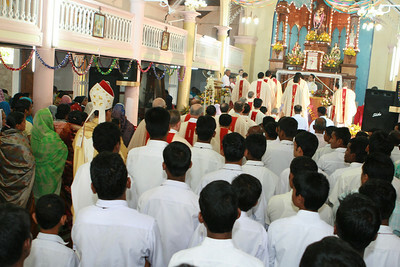 The procession into the church. 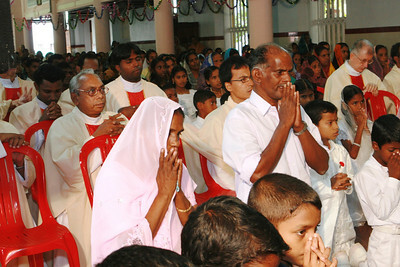 Victoria and Augustin, Deacon Thomas' parents. 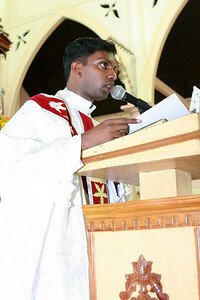 Deacon Thomas responds to the call to be ordained to the priesthood. Bishop Thattumkal gives the homily and instruction, before the ordination. 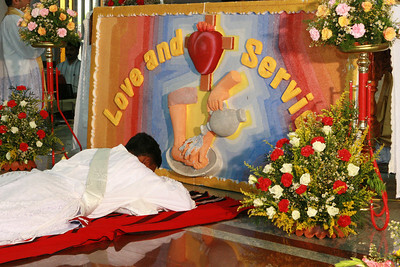 Laying prostrate during the singing of the Litany of Saints. 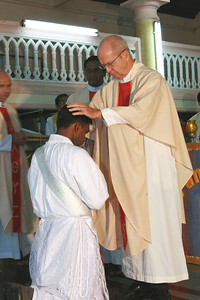 Deacon Thomas is ordained a priest, as the bishop lays his hands on his head, in silence. 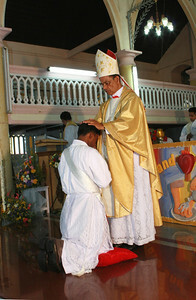 After the ordination, Fr. 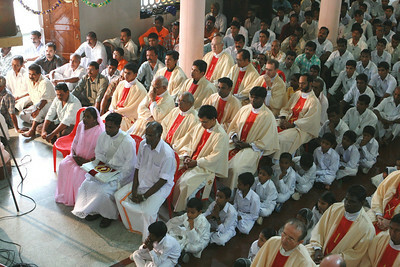 Martin lays his hands on Fr. Thomas' head. Fr. 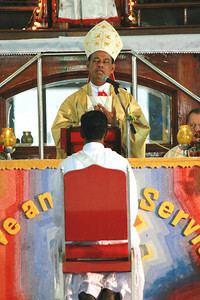 Tom Fix lays his hands on Fr. Thomas' head. Fr. 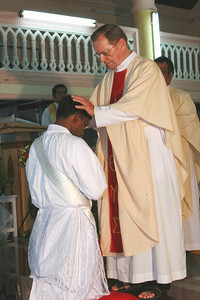 Beppe lays his hands on Fr. 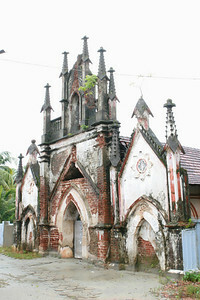 Thomas' head. 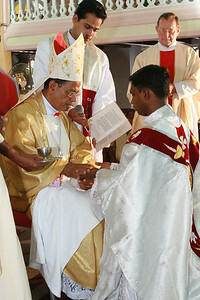 as the bishop anoints his hands with chrism. Fr. 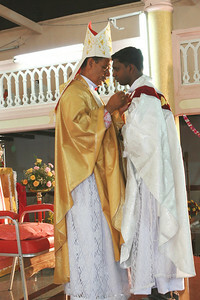 Thomas is helped being with his vestments. 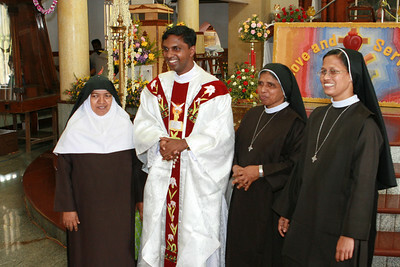 Bishop Thattumkal congratulates Fr. Thomas. 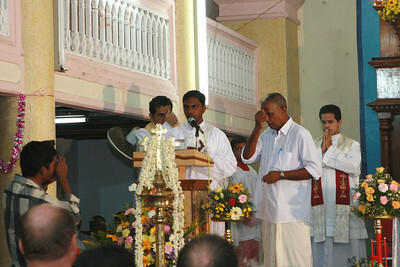 expressing his thanks to all those who helped bring him to this point in his life. Fr. 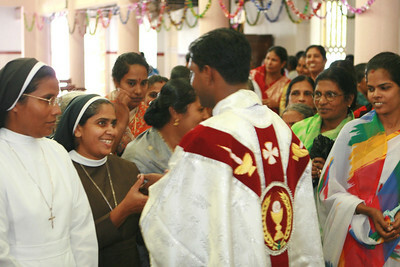 Thomas receives those who wish to offer congratulations.